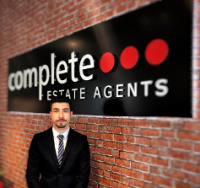 Having started in Estate Agency in 2016 I have quickly learnt the skills necessary to handle property and related chains to ensure the process is swift and the customer is 100% satisfied with the outcome of my efforts. I have always had a keen interest in property and customer service as I feel maximum effort must be provided in order to fulfil the customer’s needs and requirements. I intent to continue to learn key skills and implement them every time I handle a property. My hobbies include Films, Socialising and enjoy exploring new countries.